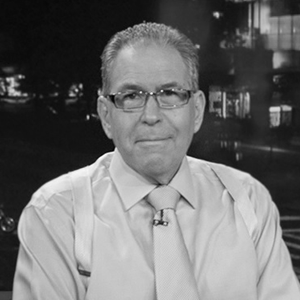 Mr. Stoler is the host and executive producer of “The Stoler Report-New York’s Business Report”, now in its 18th season. He is also the host of “Building New York-New York Life Stories”, which is celebrated its fourteenth season. Both broadcasts are produced and distributed by CUNY TV, owned and operated by the City University of New York. These shows air on more than twenty four university, educational, community and public access television stations in New York, New Jersey, Connecticut and Pennsylvania. Mr. Stoler also served from January 2009 through March 31, 2018 as a Managing Director, at Madison Realty Capital, a private equity firm, specializing in real estate financing and development. He previous served as a senior principal at ApolloReal Estate Advisors (AREA Property Partners) as well as SVP with First American Title Insurance Company . For more than twenty five years he served as president and CEO of Princeton Commercial Corporation and New York Real Estate TV, LLC, a consulting and financing firms whose client have included financial institutions, public and private companies, commercial banks and finance companies, accounting and consulting firms, Taft Hartley Unions and Health Funds, health care organizations, health care and business professionals. For the past ten years, Mr. Stoler serves as the real estate commentator at 1010 WINS, and hosts the Michael Stoler Real Estate Report airs on the weekends. Additionally, he is also the real estate commentator at WCBS NEWSRADIO 880, and host Stoler Real Estate Minute which also airs on the weekends. He serves as contributor to a number of real estate and business publications and served as the Contributing Editor and real estate columnist to “New York Sun”.Michael also serves as a Divisional Director of Queens County Savings Bank a division of New York Community Bank. Mr. Stoler is currently on the Faculty of the Fordham Real Estate Institute and served as an Adjunct Associate Professor at the NYU Schack Real Estate Institute. During his career, Mr. Stoler served as a member of the faculty of Albert Einstein College of Medicine, Fairleigh Dickinson College of Dentistry, and New York College of Podiatric Medicine, where he developed curriculum and courses on business practices for healthcare professionals.